BJP president Amit Shah Friday said the Narendra Modi-led government has ensured peace and development in the northeast, which was roiled by militant activities even five years ago. The BJP is committed to take action against cross-border terrorism and to root out insurgency in the northeast, he said, insisting that political stability returned to Arunachal after the saffron party came to power. Modi had instructed his ministers to visit the northeast states every fortnight and resolve the problems of the people in the region, Shah said. "Five years ago, the northeast was disturbed, there was hardly any development. The BJP has brought peace to the region and paved way for its development," he claimed. "All parts of the northeast now have air and rail connectivity. In Arunachal alone, the govt has sanctioned Rs 50,000 crore for the development of roads," Shah stated. 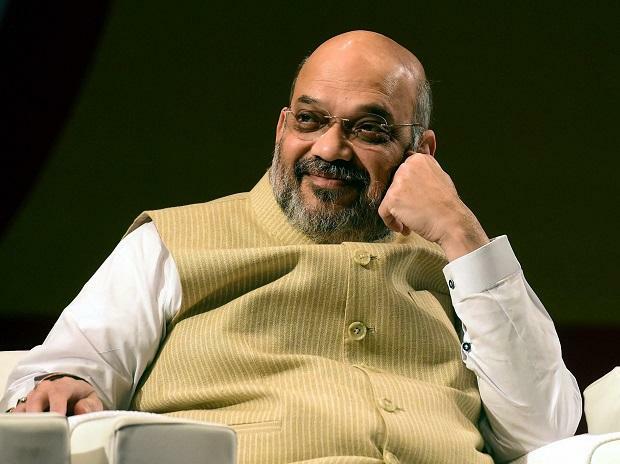 Noting that Morarji Desai was the last prime minister who attended meetings of the Northeastern Council, Shah said forty years later, it was Modi again who attended the convention in Shillong. From Arunachal Pradesh to Kanyakumari, Assam to Gujarat, the BJP will form government everywhere, the party's national president said, insisting that the winning streak of the party has started in this state. "It is for the first time that BJP is fighting on all assembly seats in Arunachal Pradesh. Our winning streak started in this region when three MLAs of our party were elected uncontested," he said. Three party candidates have been elected unopposed in the state from Aalo east, Yachuli and Dirang assembly constituenies. Election to Assembly seats and Lok Sabha constituencies will be held simultaneously in Arunachal Pradesh on April 11.